He was despised by league brass, yet was an excellent motivator. He was a winner and a loser. It is difficult to pin down his actual numbers as a junior hockey coach but in the seasons I could find he won 320 games and lost 213. He even got a stint as the head coach of the Vancouver Canucks but that experiment lasted just one season. 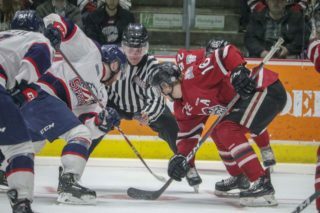 He came to the Storm as a mid-season replacement after Ron Ivany was let go and then General Manager Mike Kelly had taken over on an interim basis. LaForge was coming off several winning seasons with the Hamilton Steelhawks who then became the Niagara Falls Thunder. In this day and age LaForge would be called a bully or a “goon” coach. His tactics were legendary. 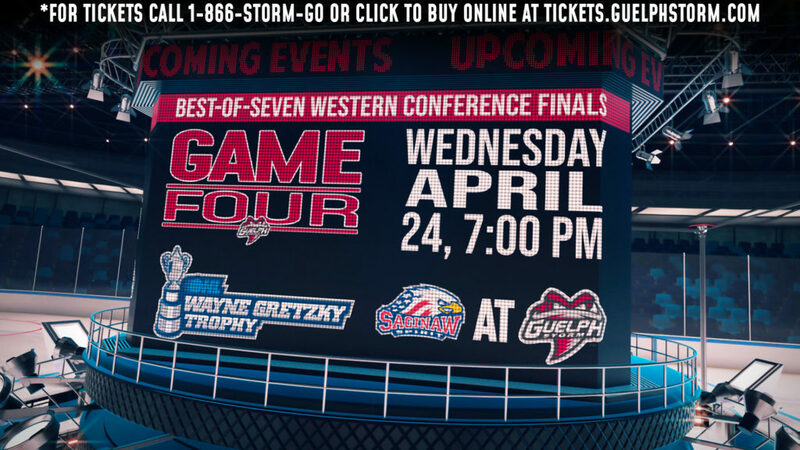 One night with <?xml:namespace prefix = st1 ns = "urn:schemas-microsoft-com:office:smarttags" />Guelph in desperate need of a win (which was pretty much all season seeing they won only four games in total) they went in to play his old club, the Thunder. Instead of having his team take the normal warm-up, they skated onto the ice, went to their bench and were ordered to simply stare at the Thunder players as they got their bodies ready to play. After the warm-up was complete, the Storm players filed off the bench and went back to the dressing room. They got smoked that night. On another occasion he wheeled a shopping cart with crumpled up $5 bills into the dressing room and told the players they could have it all if they won. LaForge was found later, smoothing out the bills and putting them back into his pocket. Perhaps the story that lives on the most was the one that says he installed a stop light in his team’s dressing room in Hamilton. His teams won through intimidation most nights. Players like Shayne Corson, Brad May and Denis Vial lived to fight for him in those days. While coaching the 1981-82 Regina Pats he had four players with over 300 minutes in penalties including Al Tuer who had 486! 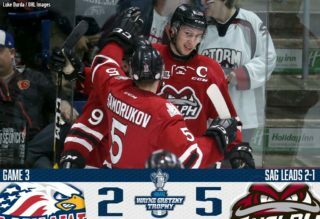 In comparison, the Storm had just three players over 100 minutes in penalties last season and if you add them all together (332 minutes) they don’t even come close to Tuer. The idea of the stoplight was that if it was red between periods the players weren’t allowed to fight, but if it was green?..look out. 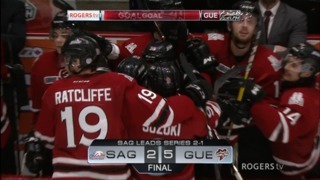 LaForge’s first year in the OHL was with the Oshawa Generals. He was unofficially ushered out of the league after fighting then Peterborough Petes coach Dave Dryden at centre ice during a huge melee. 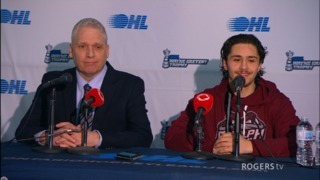 The OHL was none to pleased when Kelly hired LaForge for the final part of the ’92 season and as a member of the media, I was able to see how this guy worked. Almost immediately upon his arrival he started undermining Kelly. Asking the media after the game, “how am I supposed to win with this bunch of players?” If I was GM we’d be a winner right away.” He even covertly arranged for some fans to bring signs to a televised game that called for Kelly to be fired. By then though, Kelly was well aware of what was going on but decided to ride out the season and then get LaForge out of the town the day the season ended. Some of the players mentioned above still love the man. At their young and tender age he was able to mould them and in some cases, make them quite successful. But there was also something very worrisome about the hold he seemingly had on his best players. It was often described as a “cult like” atmosphere and after the Storm he quickly faded from sight. The franchise has come a long way since that first four win season. Long gone are those multi-coloured uniforms, the team’s losing ways and Mr. Laforge. To all, it is good riddance. From the Land of Oz?..Storm fans had to be very proud of their team as they stood at full attention on their blueline Friday night after a brief service in honour of Remembrance Day. After the anthem was sung they remained motionless, waiting for the veteran colour guard to completely leave the ice before dawning their helmets to start the game. The Owen Sound players left their post right away but when they saw the Storm players waiting for the veterans, they too returned to the blue line. It was a very classy move by the Storm players and their coaches.